I am so intrigued by new gadgets and was thrilled when I got the Ozeri Artesio electric grinder set, and the Ozeri piezoelectric stove lighter. So let’s start with the Artesio Electric Grinder Set. I was in love with this product from the moment I saw it. My parents always had an electric salt and pepper grinder set at our table as I grew up so I might be a little prejudice when it comes to electric grinding sets. They are the best if you do not have one you NEED one. It is very kid friendly, my three-year-old grandson uses it almost every time we sit down for dinner. The electric salt and pepper grinder have an effortless button that you can press to dispense with the salt and pepper. Not only is it family friendly, it looks extremely professional sitting on our dining room table. I receive so many compliments when I have company over for dinner. I’ve had quite a few of them express to me they feel as if they are at a high dollar restaurant with my fancy technology. I, of course, completely agree with them. These salt and pepper grinders are a must need for every household. Now about my Ozeri piezoelectric stove lighter, I was a little skeptical (but who isn’t when buying something new?). This stove lighter does not need gas, batteries, matches or flint!! Its like magic with the flick of your hand. You will need to position the tip of the lighter next to a gas stove, then squeeze the handle of the lighter to press the trigger and ignite. This might take a couple of tries for certain types of stoves, however, I have never had a problem with it. My husband has not put this lighter down. I have come to find out my household could not exist without this lighter. Beware, you or your husband will fall in love. You’ll either have a good diet, or you won’t. It is hard to stick to a strict one for various different factors. One of them being the temptation that is all around us. But there are some foods out there that are really going to revolutionize your diet. All you need to do is get into a bit more of a healthy routine, and you’re away. Some of the food aren’t even ones you would have considered to have health benefits. Others are ones you need to open up your options to and give it a whirl. At the end of the day, you want to try and keep your body as healthy as possible, so you might as well do it through food! This is going to come as quite a shock to you all, but garlic actually has so many more health benefits than you might have thought. It isn’t just something you put in your dishes to make them taste yummy. One of the main benefits of it being it has plenty of vitamins and minerals in it, without having too many calories! It has also been well known to fight off the dreaded cold. With the weather we’re having at the minute, we need all the garlic we can get! For more benefits, just check out HealthyOne.org. But when it comes to putting it in food, it really does taste amazing. Meatballs and pasta are a nutritious meal that garlic complements perfectly. There are plenty of recipes online for you to follow, but just make sure you’re using brown pasta rather than white if you want to keep things healthy. Avocados have grown in popularity over the last year or so. They’re no so popular with health fanatics that you can find them in nearly every menu in every restaurant you’ll enter into. But you either love them, or just really don’t like them. The only downside to avocados is that they don’t really have much of a taste, but if you mix them with other foods they really do taste amazing. For example, a smashed avocado bagel, with finely diced onion and tomato mixed in, add some basil for a little bit of extra flavouring, and then a poached egg and some salmon, and you’re in for a culinary treat. It really isn’t that hard to make, and it is such a nutritious meal. One of the main benefits of this food is that it contains a ton of potassium, as well as other vitamins and minerals. To finish things off, we’ll add a little fiber into your diet. Chia seeds are so nutritious in other ways, but their main benefit is that around an ounce of chia seeds contains around 11 grams of fiber. That is such a large, yet healthy amount to have. It also contains calcium as well as other various goodies you might like. You can even put them into pudding if you’d rather! Just check out these cool recipes for ideas. Sometimes it’s just got to be done. Do you ever feel as though you’re eating the same foods over and over again? Well, chances are you are. There’s just no variety left when it comes to food. People cook what they find easiest, which often leads to them eating the same meals each week. The same applies to drink. We’re so happy with just eating what we know that our kitchen cupboards just get so bland. But since we’re heading into the New Year, it’s time to spice things up once and for all. Here’s a few ways in which you can spice up your cupboards, both ingredients and food wise. The first thing you need to think about is trying something new. It is the New Year and all that. One of the best ways to spice things up a little is by going healthy. Yes, this might be a scary thought to a lot of you, but your health should always be your main priority. There’s plenty of healthy foods out there that are bound to tickle your tastebuds as well. Let’s start with something easy, ingredients for a steak stir fry. It is something a little different, but something that is bound to taste amazing. Usually people go for chicken, by a good tender piece of steak is going to work wonders. All you’ll need is a flat piece of steak, they’re usually a lot cheaper. Beat it with a rolling pin to make it a little more more tender and season with salt and pepper. Leave it in the fridge for about 20 minutes. Then you want to start lightly frying it off in the pan. After around 3 minutes, start to add in your vegetables. Asparagus, mixed leaves and vegetables, and small sweet corns are going to be perfect. Throw in some soy sauce along with a packet sauce of your choice from the shop. Add in some thin noodles and season with some more salt and pepper. You’re now in for a real tasty treat! The next thing you can spice your cupboards up with is a bit of alcohol. We’re not trying to turn you into alcoholics, but there are some really tasty drinks you can try to help you wind down after a long week. All you need to do is get yourself a nice brand such as Everclear and pick a nice tasty cocktail to try. Find out which alcohol suits you best and experiment with different cocktails. There are plenty for you to try if you look for some online guides. You can also spice things up a little with still drinks such as elder flower water. It is so refreshing, and adds a spin on the usual squash or fizzy drinks you’re used to having. So there are just a few ways in which you can spice up your cupboards this year. There are so many more additions you could try, you just need to be a little more adventurous than you usually would do. Christmas is almost here, and that means one thing for those of you who are tasked with cooking that all important Christmas dinner for the family – panic! Cooking Christmas dinner is often a hectic affair, fraught with worry about whether the perfect meal will be delivered successfully or not. It shouldn’t have to be like that, but for most of us, it is. It is,., after all, the most highly-anticipated meal of the year! If you don’t have a decent carving knife, then no matter how good your turkey looks when it comes out of the oven, when it’s on the table, and you’re trying to serve it up, you’re going to make a mess, make people wait and end up with a plate that, although it might taste great, doesn’t exactly look the part. How many knives do you use on Christmas Day? Probably quite a few, right? You need those knives to be sharp if you want to be able to chop, slice and carve effectively, which means you need one of the knife sharpening tools from http://www.cutitfine.com/knife-sharpener-reviews/. It really will make your life a whole lot easier and ensure that your food looks presentable. If you don’t want to end up giving your guests food poisoning, then you’re going to want to have at least a couple of chopping boards – one for meat and one for the veggies, so that no cross-contamination occurs as you rush to get everything ready on time. Ideally, you should have boards of different colors, so that you can distinguish between them at a glance. Turkeys are bigger than the average joints of meat we cook on a regular basis, which means lots of us simply don’t have large enough roasting tins to deal with them. So, make sure you have one that’s big enough for your bird come Christmas. https://www.thespruce.com/best-roasting-pans-4091220 has a good rundown on good pans, but be sure to measure before you buy. The last thing you want is to be unable to cook your turkey without losing the juices because you roasting pan is too small! If you want things to be a lot less frantic in the kitchen, then having a food processor, which can slice and chop your veggies for you, amongst other things, has a real godsend come Christmas. If you don’t usually drink, you might not have a bottle opener in your kitchen. If that’s the case, you’re going to want to run out and get one for Christmas, when your guests will be wanting a glass of wine for dinner, and you may need to open a bottle to make your gravy. Here’s to a hassle-free Christmas dinner! Quick and easy Cranberry & Nut Muffins Recipe with Cranberry Sauce topping! I made these for a church pot luck and they were such a hit! We received a few bags of cranberries from a friend and I wanted to find something good to make with them. I found a great recipe and tweaked it a little to make the perfect cranberry muffins! Mix sugar and butter together in a medium mixing bowl until completely blended. Add eggs one at a time, beating after each addition. Stir together flour, baking powder and salt in a separate medium mixing bowl. Add this alternately with the milk to the butter mixture. Stir in nuts and cranberries. Spoon into 12 paper-lined muffin cups, filling 3/4 full with batter. Bake 25-30 minutes or until golden brown. Makes 12 muffins. 1 Cup Cranberry’s Mashed, 1/4 cup sugar, 1 tsp. lemon juice and 2 tsp. water. Cook on low for 10 minutes. Enjoy!! This is by far my favorite time of year! Making memories with my family. The older I get the more I realize that times like these are all I really need. I decided to spend less time in the kitchen preparing and cooking this year and more time visiting with my grandbabies. So this year for our Thanksgiving gathering I tried a few quick options. Instead of prepping for hours I got a few of the Hormel Gatherings Party Trays for our appetizers this year and everyone loved them! Not only are the trays festive but are delicious as well! We were able to set up our tree, have great snacks and make new memories. These will surely become a part of our new traditions for Thanksgiving, and probably even Christmas get-togethers. I was able to find these at my local Walmart in the deli, prepackaged with a variety of meats. I chose a couple of different ones since my big family likes a variety of different types of meats. These are great for football tailgates or when hanging out with friends, parties, and family gatherings! These trays offer salami and pepperoni, ham and turkey, or my favorite the supreme tray with amazing olives! Maca is considered one of the ‘super foods” around the world. Maca is a plant that is grown at the extreme altitude of 12,000 to 15,000 feet in the Andes mountains where only selective plants like potatoes and alpine grasses grow. There are many benefits about this root for starts it has been used over 2,000 years by native people of the region and helped to improve fertility in women and men. These roots adapt to your age and gender making it the perfect superfood! This powder can be added to smoothies, cereal, and oatmeal. It can also be used in baking and for bread. The most common form of this root is in powder form. Maca roots have a positive effect on hormone balance, immune system, memory, focus, energy levels, and a health booster for many. Maca has a long history of being a good healing nutrition for medical benefits. The native Andes believe this root can make you feel more “alive” energetic and leaves someone with a better sense of understanding. It helps elevate the “feel good” endorphins which in turn make someone feel good about themselves and are in a much better mood. This plant-based nutrient includes protein, fiber, calcium, magnesium, and many others. Combine the chicken, rice, into the veggies and eggs. At this point, you should evenly drizzle Tamari Lite sauce, salt, and pepper. Then you should cook everything for about 2-3 minutes so the chicken, vegetable, eggs, and rice can blend together easily. Serve your plate and enjoy! I have discovered that this recipe is best made with the Tamari wooden spoon. It is shaped perfectly to combine all the ingredients. This wooden spoon is great to use because it does not react to certain acids, have a metallic taste, and change the color of foods, unlike a metal spoon. The Tamari Lite Soy Sauce gives the chicken fried rice recipe a great taste. The product is made with a richer flavor than normal soy sauces. Tamari Lite soy sauce has 50% less sodium than the regular San- J Tamari, lower sodium levels are always healthier and an added bonus to food. This product is also gluten free so anyone with gluten allergies. For our vegan friends, this soy sauce is perfect because it is certified kosher and vegan!! Have no artificial flavors, preservatives, or colors this soy sauce has a more natural better taste. For a 10 oz bottle, it is $4.39, for a 20 oz bottle it is $7.49, making it affordable for you to enjoy a little taste of heaven. The sweet and tangy Polynesian glazing and dipping sauce bring the perfect flair to your next meal. This is good on chicken or vegetables or both. One of my favorite things about this product is it is gluten-free, so anyone can use it. It has the perfect spice and I feel as if I could use this every night when I cook a stir-fry meal. The Hoisin dipping, glazing, and cooking is by far one of the best tasting one. I use this more for a dipping sauce (mainly because I like to dip my foods). However, this is still a really good sauce to cook with. It is gluten-free, which makes it an awesome item to cook with for any occasion. This Hoisin flavor brings an authentic Chinese taste to your everyday normal meals. This is good on chicken, steak, and tofu. This is also great to add to your stir-fry or to glaze on your BBQ, and this is a great dipping sauce for chicken strips, chicken nuggets, broccoli or cauliflower. This is a great product I highly recommend you try. Anyone who spends a lot of time in their kitchen knows how easy it is for most of that time to be spent tidying up after yourself and keeping the kitchen clean. There are plenty of habits that you can adopt to make cleaning it much easier, but what if you gave yourself less work, to begin with? Let’s take a look at how getting a little smarter with your kitchen design could save you tons of time in the future, meaning you more to spend actually enjoying it. This isn’t so much about the real messes you might make in the kitchen as much as it’s about the clutter that can get in the way and make it feel much more claustrophobic. Rather than getting countertop containers, think about looking up. There are plenty of vertical storage ideas that can make the kitchen appear much more spacious and tidy, particularly if the room is a little on the smaller side, to begin with. Good Housekeeping shares some great ideas, like storing pots and cooking utensils in the alcove above your range so everything you need is in hand whenever you need it. A wall rack for platters and plates also means you save on cupboard space while being able to coordinate a nice themed or colorful design. Tiles seem to just go in the kitchen. However, the truth is that they will become the bane of your existence if you’re not able to spend time cleaning them out as much as you would like. The crevices in the tiles attract dirt and moisture, which can lead to real damp problems if you’re not careful. This is especially true if they’re above the range or the sink. Heat and moisture are both very commonly present in the kitchen, so it’s worth avoiding any materials that have little divots or dips if ease-of-maintenance is on your mind. Instead, options like sheet vinyl flooring as mentioned at The Spruce are smooth, easy-to-clean, and nigh impervious to moisture. The right choice of materials, fixtures, and accessories can make your kitchen much more low-maintenance. It will be both easier to clean and much more convenient to use. That means more time to actually enjoy making and eating your meals and spending some quality family time in there. Are you a passionate home cook? Do you love nothing more than spending your spare time in the kitchen experimenting with new recipes? Baking can be a great outlet for stress and worry, and a fantastic way to express yourself – in fact, baking is so good for health and wellness that many stress and wellness specialists recommend baking therapy as an effective outlet for stress and other mental health problems. Bearing that in mind, cooking the same things day in, day out will become boring. That’s why if you want cooking and baking to remain an effective outlet for the day to day stresses that come with life, it’s important to get creative with your food. One way to do that is to try cooking and baking with alcohol – believe it or not there are some fantastic recipes out there that include alcohol. Love the idea of adding a dash of alcohol to your cooking to add a little pizazz to your food? Then read on for all of the best ideas – just remember that the suggestions below are for adults only and aren’t child-friendly. Have you heard of Pimms traybakes? Or whiskey and chocolate tarts? What about Jamaican rum cake? All of these sweet treats have one thing in common: they include alcohol. Pimms cakes are becoming more and more popular – these are a light, citrus-flavored sponges topped with a zesty icing with a hint of Pimms, and a pipette of Pimms to inject into the cake just before eating it. Whiskey and chocolate tarts are a popular choice for slightly more upmarket desserts – they’re rich and indulgent, and much easier to make than you would think. All it takes is a delicious chocolate tart recipe and a quality whiskey, such as Kikori whiskey, for instance – you can read a Kikori whiskey review online. Or, if you’re not a fan of whiskey, you can always substitute it for rum. Got a sweet tooth? 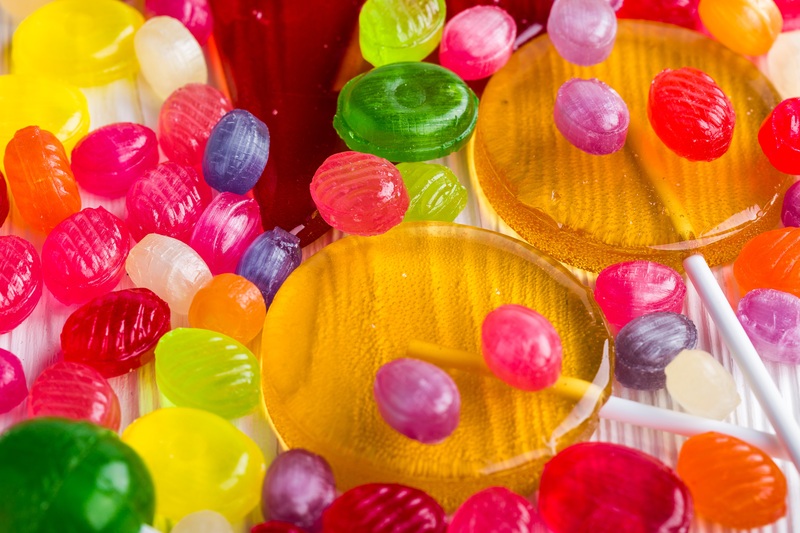 How would you feel about channeling your inner Willy Wonka and creating some sweets? They’d have alcohol in, of course. Whether you love boiled sweets or traditional lollipops, you can make some delicious alcohol infused ones. From peach prosecco boiled sweets to raspberry mojito lollipops, there are so many different recipes that you can try. Just make sure that if you have little ones, you make some alcohol-free sweets too, else you will have some very upset children. You may already add alcohol to your savory meals, or you may not, but either way, it’s worth mentioning. The fact is that a dash of red wine or a glug of ale can bring a dish to life, whether it’s a stew, pie, or risotto, adding a little alcohol can really add to the flavor. Many of these dishes can be consumed by children because the alcohol burns off while the taste remains, giving the dish that little extra flavor boost. So there you have it, a guide to baking and cooking with alcohol, and some ideas for the kinds of things you can make. When it comes to creating delicious meals for you and your family to enjoy, it’s not always easy to get it right. That being said, it can become easier, if you take note of what the pros say, that is. Have you ever eaten in a restaurant where the kitchen is in full view of the diners? Well, if you have, you will have seen how efficiently a team of skilled chefs can operate amongst the chaos of a busy kitchen. This is known in the industry as choreographed chaos, because although it looks like total madness from the outside, it is in fact well organized with the entire team moving as one well-oiled machine, and that is what every kitchen should be like. Want to ensure that your home cooking is the best that it could possibly be? Then take note of the six hacks below that all of the very best chefs swear by, and implement them in your own kitchen. Don’t rely on sachet mixes for meals. Instead, learn how to season your own food. Invest in a spice rack for your kitchen and fill it with all of the herbs and spices that are most commonly used in cooking. These should include salt, pepper, oregano, basil, mixed herbs, allspice, paprika, chili powder, onion powder, garlic powder, garlic powder, cinnamon, garam masala, and turmeric. These are just a few of the herbs and spices that every home cook needs to make healthy and delicious meals from scratch. They say that a poor workman blames his tools, but when it comes to cooking, the tools that you have are vital. If you are cooking with old pots and pans, your food may burn onto them as you cook. If your knives aren’t sharp enough, it may take longer than necessary to prepare meals. That’s why it’s worth browsing websites like Stone Frying Pans to look for new cooking tools, such as new knives, for instance, to ensure that you are able to make preparing your food as quick and easy as possible. To be able to prepare your meals easily, good quality cooking tools are vital. To make cooking on busy days easier, it is worth making up some sauce bases in advance and freezing them. Sauce bases are easy to make and also great to freeze. Make up a batch of basic tomato sauce bases that can be used for all manner of dishes, from curries and stews to soups and pasta dishes, then when you go to prepare a meal, you already have a base made up. For adding extra flavor to bases, freeze olive oil in ice cube trays and add flavors to them, such as garlic, and herbs like basil and rosemary, so that you can add an ice cube of frozen flavor to the pan as your sauce bases defrosted. Don’t be afraid to experiment in the kitchen. When it comes to your cooking, be brave and experiment with your meals. Take a recipe that you have made many times before and find little ways to change it up. The fact is that all the best cooks experiment with their food, to find ways to improve it, so don’t be afraid to experiment with your own cooking. The biggest mistake that you can make in the kitchen is failing to taste your food as you go. As you cook each dish, make sure to use a clean spoon to taste it. This will allow you to ensure that it is well seasoned and has all of the flavors that it needs. Just because you have a busy day planned, that doesn’t mean that you can’t serve your family a healthy and delicious homemade meal. Utilize your slow cooker and make it your very best friend. On days when you know, it’s going to be too busy to prepare a meal when you get home, pop a few ingredients into your slow cooker in the morning so that by the evening the bulk of your meal is cooked. Just don’t forget to season the dish accordingly. There you have it, your guide to the six hacks that all of the very best cooks swear by. Take note of these and implement them in your own cooking, and you can vastly improve the quality of the meals that you are able to make. Opening up your home to other people is never a simple task. Even when you have prepared to the hilt and think nothing can go wrong, something is still liable to happen during the event itself. Some people will be late; some drinks will run out; you’ll have forgotten the dietary requirements of one of your guests. What it’s easy to forget is that most of the above can be forgiven. When friends and family attend a party at your home, they’re not expecting a perfect 5* service where everything goes to plan. They want to have a nice night, feel catered to but not excessively so, and just enjoy the atmosphere. Of course, as the hostess, it’s up to you to be the leader of that atmosphere – and there are a few things you can do to damage it. Most of these you won’t even realize are bad things; some might even just seem like being polite. However, if you do them too often, then it could be your behavior – rather than anything materially wrong with the party – that brings the mood down. So why not take a scan through the list and see if any of these must-quit hostess habits apply to you? On the surface, this seems… well, polite, really. You want your guests to be comfortable, and part of that means ensuring they always have a full glass. After all, you’ve done the beforehand work, got yourself a beverage distributor and plenty of different drinks options – so what’s wrong with asking guests if they need you to top up their glass? Put simply: it can feel like you’re nagging them. An occasional question is fine, but many a hostess may take this to a point where it feels like they’re constantly pestering their guests. Don’t go too far, or your kindly offer begins to feel like an annoyance. It’s not going to work. Shouting “woohoo, party!” into a quiet room or – on the flip side – trying to temper down a lively party into a more sit down, calm, event just isn’t going to happen. You’re going to exhaust yourself trying to pursue the idea of what you think your party should be like, rather than just letting it happen naturally. Neither consequence is one you want to find yourself dealing with – so don’t. Sure, redirect conversation if it’s going in a direction that might cause arguments – politics is always a good one to avoid – but other than that, let things happen. Of course, you should enjoy your party. However, it’s best to try and ensure you at least steer clear of too much alcohol – especially if you’ve not eaten much during the day as you’ve been rushing around making plans! Combine the three above and you will truly be the hostess with the mostest, who knows where the line is between attentive and obsessive and is always on hand to help with any problems that arise. Whether you’re renovating the kitchen or just cleaning it up, you might find plenty of appliances and extras that you could simply do without. Everyone loves their kitchen gadgets, but unless you have a big kitchen with plenty of storage space, the chances of you appreciating it are very slim. After all, a knife is pretty much all you need to prepare most ingredients, and while things like a food processor are useful, it doesn’t mean they’re absolutely necessary. So if you want to declutter your kitchen and make it more pleasing to the eye, here are some common kitchen appliances that you probably don’t need. You might think this is crazy, but a lot of people don’t make full use of their ovens and it can actually be quite a pain to maintain due to its size and how easy it is to make a mess inside of your oven. In fact, some countries like Japan don’t even have large ovens because they don’t use them very often. If you don’t frequently use your oven, then there’s a better alternative: a countertop one. Check out this review of the Wolf Gourmet oven if you want a good idea of how well they work and the features they offer. If your stove tops and oven are separated, then it might be worth getting rid of your oven in favor of a more convenient and cheaper alternative. Although many of us eat toast, a toaster is really only good for making a single thing. Why not throw it out and use your oven or toaster oven to create it instead? It’ll save you a lot of space and you don’t need to worry about cleaning the toaster separately. These are common appliances that allow you to make fresh pasta and spaghetti. However, it’s a lot of work, it creates a mess and it’s not nearly as convenient as just buying fresh or dried pasta. If you want to clear up some space (and make your life a little easier) then you may want to consider getting rid of your pasta or spaghetti maker in favor of just buying your pasta. Toasted sandwiches are fantastic, but you can be more flexible if you simply do it in a pan on your stove. All you need to do is press the sandwich with a flat spatula and you’re good to go. It saves you having to clean up a toast press and you don’t need to worry about the size of the bread. Getting rid of your microwave might sound crazy, but it’s honestly something that you can live without. Sure, it’s convenient to heat up leftovers and cook certain meals, but those meals are usually unhealthy TV dinners that aren’t as nutritious as food cooked on a stove or oven. In addition, you can always heat up leftovers in a pan. It might be a little more cleaning, but it’s generally going to keep the taste instead of nuking it in the oven for a while. Getting rid of your microwave can also promote healthier eating habits which are always a plus. Your kitchen is the heart of your home, and you adore the memories that you have created in there, the culinary creations that you’ve cooked up in there and the daily chats you’ve had in there with friends who’ve popped over for a coffee and a cookie. Kitchens are replacing living rooms as being the room where we entertain, congregate and simply relax. It’s time to make the heart of your home the ultimate kitchen by filling it with the ultimate gadgets to make your culinary life a whole lot easier. Before you even consider gizmos and gadgetry, it pays to take a look at the design of your kitchen. Does it have all of the cupboards you require? Is the cabinetry in good order? Do you require a new kitchen worktop? If you think that your kitchen needs a little bit of a spruce up, take a look at a site like http://worldofrenovation.com.au who can lead an entire kitchen renovation from concept to completion, or if your plans aren’t so grand, can source your perfect mixer tap and that pendant lighting that you have always longed for. When your kitchen space is refreshed, you’re ready to go gadget shopping. The Apple Divider – If you have kids who love their fruit, this is a gadget that you’ll be putting to good use daily. By setting your shiny green Granny Smith on a board and pushing your divider down on top of it like a French guillotine, you have a perfectly cored and segmented apple ready for your little darlings to devour. The Garlic Twister – This is an ingenious design to save you from the awkward washing of the garlic crusher or enduring garlic infused fingers for days. You pop your peeled clove inside this device, give it a twist and thirty seconds later, minced garlic is ready to pop into your ragu or chili. The Ice Cream Maker – Yes, you can buy a wealth of luxury Italian gelato now from any high street shop or deli, but the joy of making your own ice cream infused with your own flavors is one of life’s little pleasures. Check out https://browneyedbaker.com for a wealth of recipes to try. How about a scoop of blueberry and banana clotted cream gelato or a mango and almond sorbet? The Bread Maker – The smell of fresh bread cooking in any home is one of the most satisfying aromas known to man. Without all the sweat-inducing requirements of kneading, proving and then kneading again, a bread maker takes all of the hassles out of the cooking process without taking away from the traditional rustic taste of a homemade sourdough or focaccia. With our lives becoming busier and full of work, technology, and errands, it’s worthwhile to invest in a world of culinary gadgetry that saves you time and effort but still enables you to enjoy spending time in your kitchen. After all, the kitchen is the heart of your home, and there are many memories still to be made. SunButter is an all-natural delicious sun butter. Since they are sunflower seeds made with simple ingredients that are roasted and grown in the U.S. this is an excellent and healthy choice. SunButter contains seven grams of protein per serving, causing it to have more vitamins and minerals than any other nut butter. Not only is it a healthy choice it is also allergen free because it does not contain any of the eight food allergies most common to nut butter contains. This product is ideal for schools since a lot of kids are allergic to peanut butter, this product could be a substitute for peanut butter items. One of the best things about this product is the price, which the average price only being $5.99! The product is also available in five varieties which are Natural, Creamy, Natural Crunchy, No Sugar Added, and Organic. There is a flavor for just about everyone! They are served in 16-ounce jars, making it the perfect size for an occasion. Above is a picture of my grandson chowing down to eat apples with his SunButter. He not only loved it but kept asking for more. I loved being able to provide an allergen free and healthy snack for him. SunButter is a great choice for bread, apples, crackers, celery, carrots, ice-cream, and even pancakes if you eat it on your pancakes. Being able to put the lid back on causes this to be a great snack to travel with. The taste is a burst of flavor inside your mouth. With the taste being outstanding, you might be wondering about the texture. The texture is not too oily but not too crunchy, it is the perfect mixture. I highly recommended this product. Please let me know what you think. Everyone knows a coffee lover. In fact, many people will say that they can’t live without coffee. However, for many, it’s the caffeine in coffee that they really rely on. For some, it’s the delicious taste of lots of different coffee varieties that they love. If you know someone who loves coffee a little more than most, you might have thought about getting them something coffee-related as a gift. It’s the ideal approach to take, but at the same time, there’s a risk of getting them something a million other people have already thought of in the past. If you’re not sure what to choose, try some of these ideas. Being able to drink coffee on the go is essential for any coffee lover. They don’t want to have to rely on Starbucks for their coffee, and there’s no always time for them to go to their favorite independent coffee shop in the morning. Plus, it’s cheaper to make your own at home. Fortunately, there are many products designed for coffee lovers to take their cup of joe on the move with them. A simple travel mug is a good start, but you can even get entire kits and even portable coffee makers that are perfect for commutes and business trips. Buying coffee for a coffee lover might seem like a bit of a risk. If you don’t know much about coffee, it could feel like you’re flying blind. Where do you even start? If you’re not really sure, you could try a selection of samples. There’s sure to be something in there that they’ll like. The other option is to go for a special coffee that isn’t just your ordinary run-of-the-mill bean, like a Kopi Luwak coffee. This famous coffee from the Philippines isn’t ready to drink until it has been digested by wild Palm civets – that’s a small, forest-dwelling mammal. Many coffee lovers have got a sweet setup at home so they can make something much more respectable than instant coffee. But even if they don’t have space in their kitchen for any fancy equipment, you can still get them some handy barista-style gadgets. What about a coffee grinder for their fresh beans, or a mini espresso maker? They might also appreciate a cold brew maker they can keep in the fridge or even just a clip for their coffee bag to keep it fresh. The smell of coffee is just as good as the taste for many coffee lovers. If you don’t want to get them something that’s actually coffee or used for making coffee, you can explore gifts with the sweet scent of coffee. You can get all kinds of things, from coffee body scrubs to coffee-scented candles. And there’s always the option of a delicious coffee cake, which has the benefit of also tasting of coffee, without actually being coffee. Pick from a huge range of appropriate gifts for coffee lovers when you next need to buy a present. It is definitely the dog days of Summer here in South Texas. Temperatures are in the upper 90’s daily and the “feels like” temperature is over 100’s. Even the pool feels hot in the afternoon. The only relief I have found is my afternoon guilt free snack! Arctic Zero Frozen Dessert is such a light, cold, oh my goodness yummy, snack. The hardest part of my afternoon is decided which flavor I want to devour them! Only 35 calories per half-cup serving and 150 calories for the entire pint, Creamy pints are fat-free. ARCTIC ZERO is lactose-free and perfect for those who are lactose intolerant. ARCTIC ZERO Creamy pints are fat-free and only 35 calories per half-cup serving and 150 calories for the entire pint, making it a zero-guilt dessert. ARCTIC ZERO is GMO-free and contains no artificial ingredients. The best part of all this is no guilt eating ice cream every afternoon, after all, it is only 35 calorie snack. It doesn’t affect, my attempt at the beach body this summer. If you have tried any yet, you need to not only is is delicious but so smooth and light you will wonder how it can only be 35 calories! Last year I had an issue with keeping my drink cold while at the pool. I would take a bottled water and within 30 minutes it was hot. Apparently, we have rules at our pool and you can only use plastic cups, so I was determined to find something that would keep my drink cold no matter how long I was out there. I have found the perfect solution to my thirst problem while laying out. The Ozeri Serafino 2 Double Wall Thermo Glass is my perfect solution! These are very durable cups! Serafino 2 Double Wall Thermo Glasses is 16 ounces of an insulated wall glasses that keeps my ice from melting for hours. I love its unique shape, I have small hands and a lot of time cups tend to sweat or are too big for me to grab when my hand is wet and slippery. These have a crease in the middle for gripping with no problem.